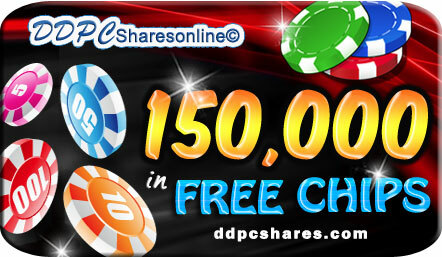 ~Blondie here from DDPCshares with a code below worth 150K in Free DoubleDown chips! ~Enjoy! We work hard at keeping a Positive Peaceful environment for our community members and have ZERO tolerance for those who: Complain, Rant, Whine or Piss and Moan about DDC (same goes for those who demand or beg for codes). Read more and discuss this Double Down Promotion Code in our Forums! This website's costs are payed for with ad revenue. Please consider turning off AdBlock software or at least whitelisting our url (ddpcshares.com). If you do so, reload this page and the content will be available to you once again. Copyright © DDPCshares 2013-2019. All rights reserved.